The seven female and one male bison are from the Yellowstone National Park bloodline, which are among the few pure herds remaining. The vast majority of present-day bison have small amounts of domestic cattle genes, a reflection of past interbreeding efforts when western ranchers tried to create a hardier breed of cattle. 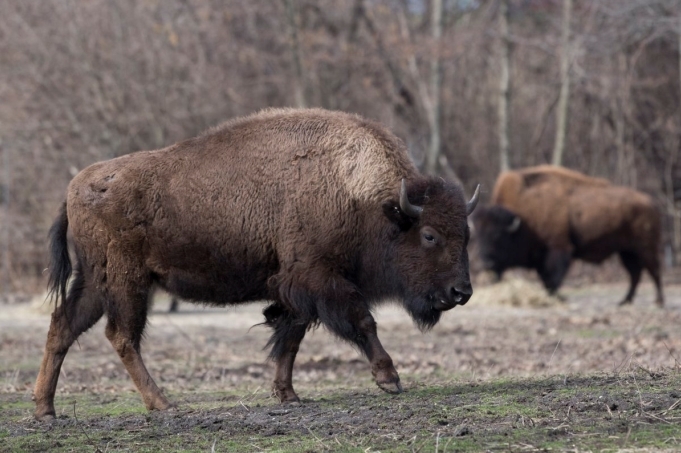 The historic transfer will further the Bronx wildlife park’s long history of facilitating bison conservation projects in the western U.S., and marks the first time bison have been transferred by a tribe to a wildlife park. 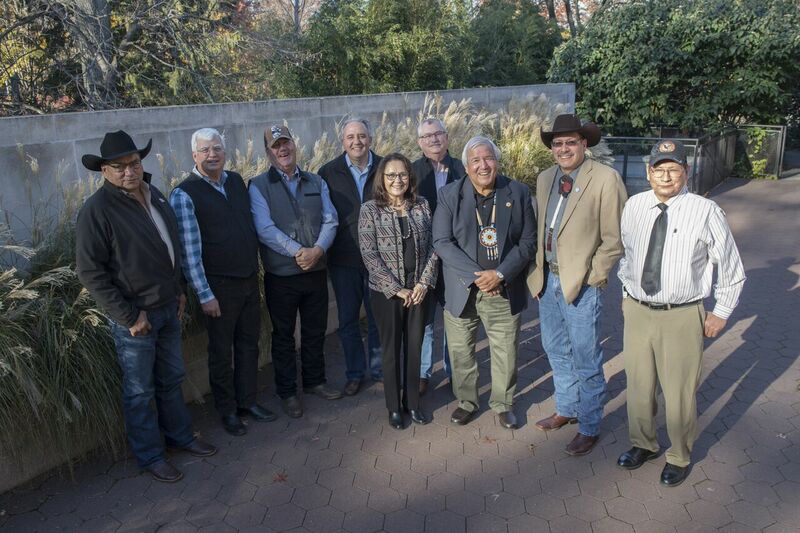 Tribal leaders the Fort Peck Assiniboine and Sioux tribes visited the zoo on November 18th and conducted a sacred pipe ceremony, blessing the bison that were transferred from Fort Peck pastures in Montana. A pipe ceremony—part of a long tradition to seal a partnership between people groups—celebrated the relationships between Fort Peck Tribes and WCS and honored the gift of the bison provided to the Park. "Our delegation accompanied our buffalo to the Bronx Zoo. When we arrived we offered a prayer and traditional ceremony of thanks," said Fort Peck Tribal Elder Dr. Ken Ryan. For nearly five years, the Bronx Zoo has been working toward the creation of new herds of genetically pure bison through embryo transfer. The goal for these bison will be to breed animals for eventual restoration in the west. The bison from Fort Peck will become part of this effort by breeding with a genetically pure male born as a result of the embryo transfer program in 2012. 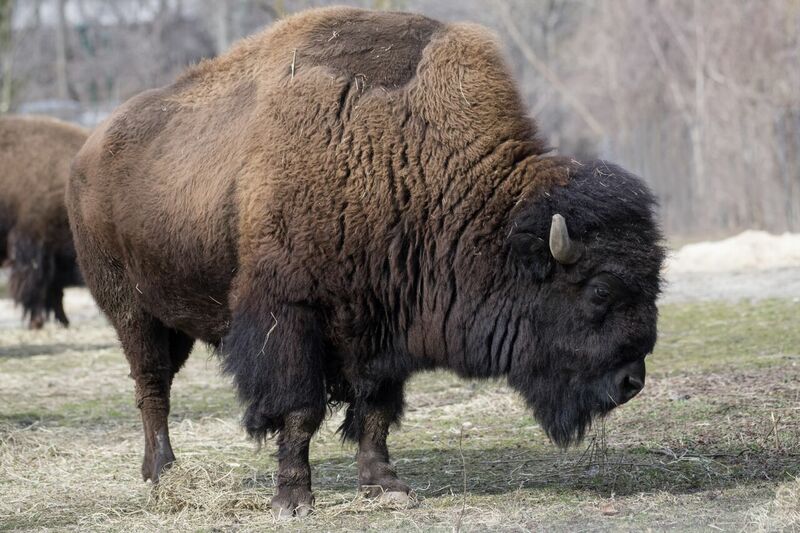 Responses to "Fort Peck Native American Tribes gift genetically pure American bison to Bronx Park"